01 New Nissan Micra Compact, sporty, and made for the city, this new Micra is the ideal supermini and is sure to reign as one of the country’s most favoured car models. 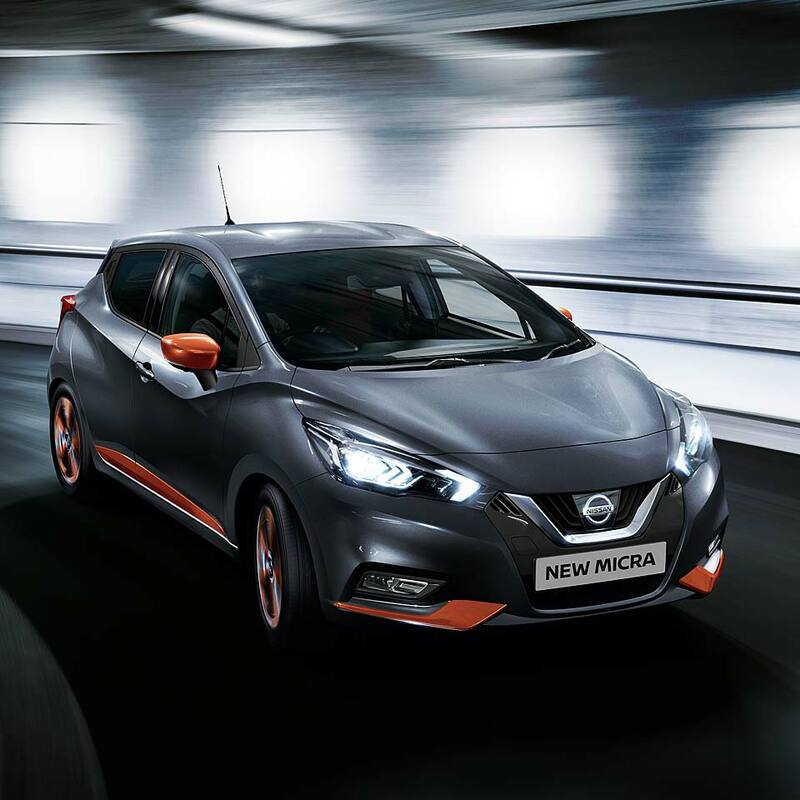 Explore the new Nissan Micra to see how you could enjoy a fun and convenient drive every day. 02 Exterior design The new Nissan Micra boasts a contemporary and sporty body style, with aerodynamic sculpting and contoured lines. The subtly shouldered bonnet is offset by sharp headlights and a neat nose, as well as body coloured bumpers and wing mirrors for a seamless effect. With the styled lines that fall back to a compact and sloping rear, the new Micra has a small but feisty style and an athletic presence on the road Enjoy stylish 15-inch steel wheels as standard in the Visia trims, 16-inch steels and body coloured door handles in the Acenta, or large, ultra-stylish alloy wheels in the N-Connecta and Tekna trims. The Acenta also includes rear privacy glass for that exclusive feel. 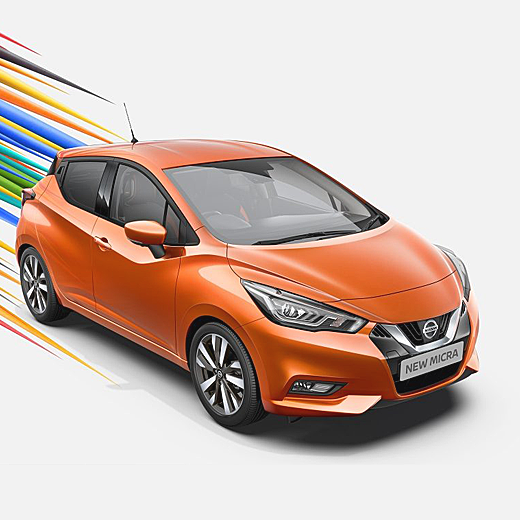 Choose from a range of exciting body colours such as Enigma Black, Vibrant Chrome, Power Blue or Energy Orange – the Micra can be whatever you want it to be. 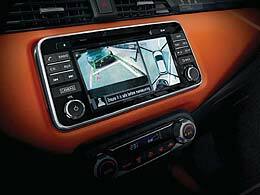 05 Safety & technology A full variety of active and passive safety features are included in the Micra, Benefit from a range of intelligent technologies in the new Nissan as standard, such as the Lane Departure Warning and Intelligent Lane Intervention for maximised confidence when on the motorway. There is also the Intelligent Emergency Braking with Pedestrian detection system installed across all models, making city driving ideal. Upgrade to the Visia+ and above trims for the convenience of start/stop technology. Enjoy a range of technologies in the Micra that will keep you connected and entertained, with features such as Bluetooth® and a two speaker audio system as standard. Upgrade to the Acenta for a seven-inch touchscreen with audio display and Apple Carplay™, while the N-Connecta includes built-in satellite navigation and entertainment system. 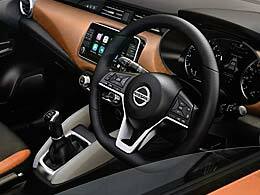 The top-of-the-range Tekna includes Nissan Intelligent Key and rear parking sensors for your ease, as well as a BOSE® audio pack that includes speakers in the headrest. 08 Contact us Yeomans is pleased to offer a wide range of new models and our team is expert in the Nissan brand. 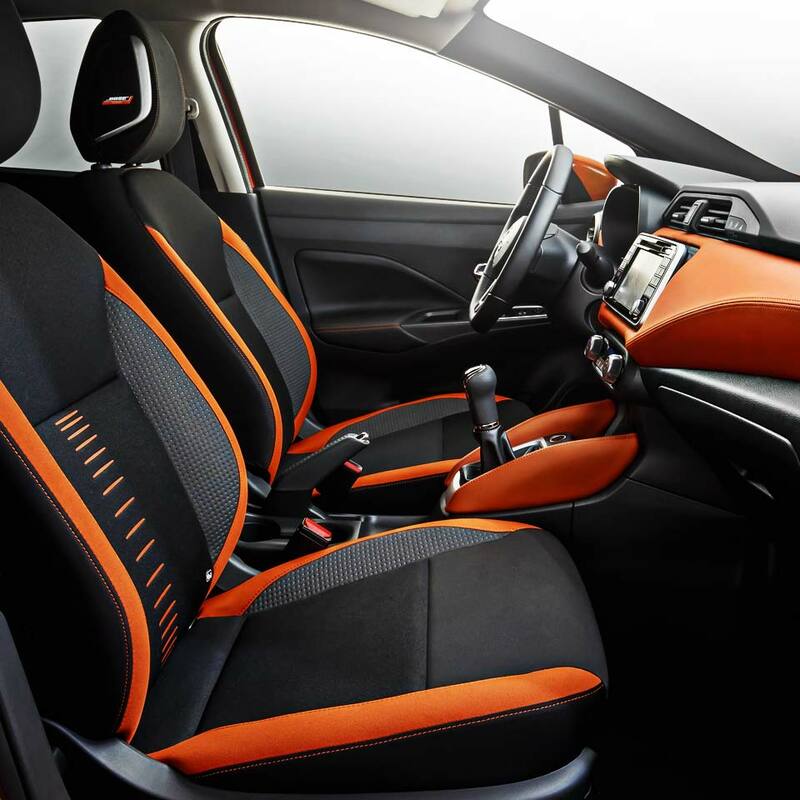 Book a test drive in the new Nissan Micra now and experience for yourself what this car has to offer. Call or enquire online.